It’s obvious, yet often overlooked. The input from a good marketer is essential when hiring someone in a marketing position. We can dig that bit deeper into what candidates are saying, ask the right questions to identify the outstanding from the average and understand whether the person knows what they’re talking about or simply skimming the surface. Not mentioned in the article, but even more crucial in my opinion, is the advice a marketer can provide when defining the vacancy to fill. Marketing has become an incredibly diverse discipline, and it currently includes wide-ranging specialisations and skills, from analytics to creative to campaign management. It’s an exciting time for us, but can be a pain for non-marketers: with so many possibilities and so few people versant in everything, it’s hard to know what you need. An experienced marketing professional will help you focus on your pain points, identifying the marketing areas you need the most help with. A marketer can also help you draw up the right job description, so that the candidates you attract fit the profile you need, whether that is a growth specialist/growth hacker, an SEO/PPC manager or a traditional integrated marketer. I completely agree with this statement. Anyone involved in a recruitment process knows how dull it is to look at a pile of CVs. They’re all so samey. And there are so many of them. No wonder CVs are allegedly considered for less than nine seconds. Of course, new technologies like ATS (applicant tracking systems), which automatically pre-filter CVs based on elements such as pre-defined keywords, have appeared to save the day. Only they’re not that accurate: up to 75% of suitable candidates are filtered out by ATS systems, according to some sources. That’s an awful lot of talent that won’t even get to be noticed by a hiring manager merely because they’re not using the “right” words or they’ve opted for the “wrong” formatting for their CV. However, there’s an extra layer of complexity for marketers. Unlike software developers, say, the marketing field is so rich in synonyms and buzz words that I wouldn’t be surprised if the amount of talent slipping through the ATS cracks was higher for marketers than for other professions. Hiring is hard, largely because so much about growing your team well has to do with doing it with the right people – the right people, that is, for your context. Hiring is not just about how good a person is at what they do, but also how well they fit in and the way they work with others. Not so much of an issue if it’s employee number 3,471, but a big headache for a small company, as many a start-up has experienced first-hand. 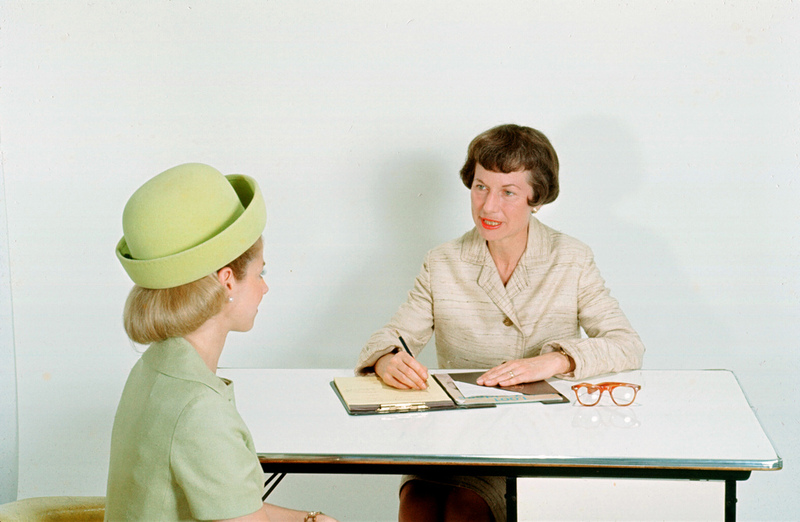 So, how do you get to know your candidates before hiring them? There are several things you can do here if you get out of the CV-interview-first day mentality. Hyam’s article talks about asking to see their blog. That’s fine if they have one. Same for any other portfolio items (now that LinkedIn makes it possible to upload documents, it’s easier than ever). But I’d say that the best way is actually to speak to them first. In a non-interview context, that is. Meet in a café or the park. Let the candidate relax so you can see whether there’s chemistry there. Have a chat, bounce ideas off each other. Perhaps you’re enlightened enough to do it already, but if you’re still talking to candidates in windowless meeting rooms, it’s a good time to try a different approach. Find out if they do freelance gigs. If they do, perhaps you can hire them. Give them a small project, so you can see if you like the way they work. Think of it as a try-before-you-buy approach. If that’s not possible, ask them to describe a recent project in detail. Ideally, get your marketer from point 1 to listen in or read what the candidate tells you. Say the project they want to present is a marketing campaign: you want to know the specifics about the planning and execution, including the channels involved and their management, as well as the results analysis, not to forget the people the candidate had to work with to complete the project. This kind of detailed run-through will tell you a lot about the kind of marketer you’re speaking to, and whether their work methods would fit in with your organisation. See if you have any LinkedIn contacts in common, you’d be surprised. Chat to someone who knows your candidate. Perhaps they worked together in the past and can give you some insight on how they function as an individual.Your connections will tell you a lot more about the candidate than a stiff and standard recommendation from a former employer. The bad news is, hiring as it’s currently done requires a leap of faith, and that’s for both the company hiring and the candidate. The good news is that there are things you can do to make it a small a jump as possible. Posted in marketing. Tagged recruitment, talent management.